A freelance design business can take many forms. You can start small and build up but the basics are the same. This can take a week, a month, a year, or a lifetime! Assess your entrepreneurial abilities. 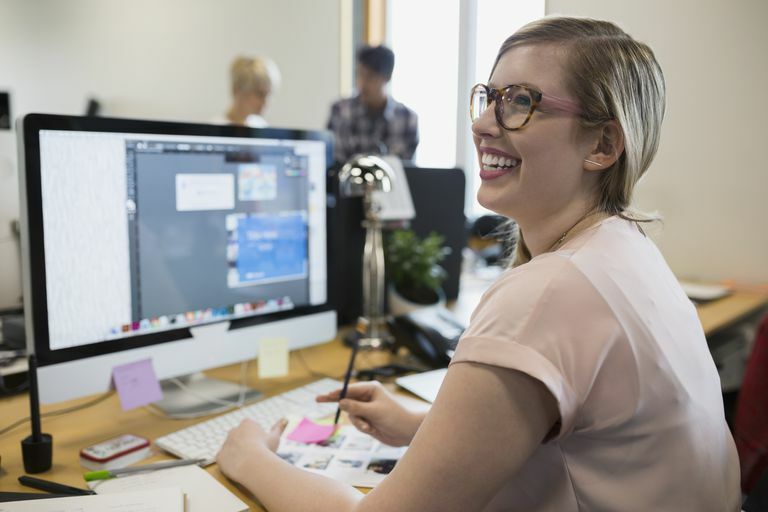 Determine whether you have the time, business, and financial skills (or willingness to acquire needed skills), and the entrepreneurial or freelance mindset to run your own desktop publishing or graphic design business. Learn the business side of design. Assess your design skills. You don't have to be an award-winning graphic designer to start a desktop publishing business but you do need certain basic skills and a willingness to educate yourself in areas where you are weak. Acquire at least basic design skills and knowledge. Develop a business plan. No matter how small you plan to start, you need to put into writing a description of your planned desktop publishing or graphic design business and a financial projection. Without a plan, no matter how informal, most freelance businesses will falter and eventually fail. Choose a business structure. Many freelance desktop publishing business owners automatically choose sole proprietorship and it does have certain advantages for those just starting out. However, it's always a good idea to evaluate your options. Get the right software and hardware. As a minimum, you're going to need a computer, desktop printer, and page layout software. If you can only afford the basics starting out, investigate your future needs and work a budget into your business plan that allows for expanding your electronic toolbox. Use the right tools for the job. Set a price for your services. In order to make money, you have to charge for your time, your expertise, and your supplies. As part of developing a business plan, you'll need to come up with the right pricing for your desktop publishing or graphic design business. Calculate hourly and flat fee rates. Choose a business name. While not necessarily as important as a business plan, the right name can be your best marketing partner. Select a distinctive, memorable, or winning name for your desktop publishing or graphic design business. Create a basic identity system. A great business card not only tells but also shows potential clients what you can do for them. Put as much thought and care into creating the logo, business card, and other identity materials for your desktop publishing or graphic design business as you would for a paying client. Make a good first impression. Craft a contract. Just as important as your business plan and your business card, the contract is a critical part of a freelance business. Don't wait until you have a client (or worse, after you've already started working on a project) to create a contract for your desktop publishing or graphic design business. Never work without a contract. Market yourself and your business. Clients don't come knocking on your door just because you say you're open for business. Go out and bring them in whether it's through cold calling, advertising, networking, or sending out press releases. Set the right price. Don't sell yourself short. Charge what you're worth. If you're not sure what you're worth, go back and rework the financial section of your desktop publishing or graphic design business plan. Always use a contract. It's a business. Contracts are a standard operating procedure for businesses. Don't skip using a contract because you're small, the client is a friend, or you're in a hurry to get started. Take a class. Take a class to provide step-by-step guidance and prodding in developing a working business plan, the beginnings of a marketing plan, an hourly rate and pricing plan, a name for your business, and a freelance contract tailored to your needs.